Although our focus is on spinning reels, it is always good to know what other types of reels available and when they might be a more suitable option. Spinning reels are great for beginners and advanced alike, but a baitcasting reel can be the perfect next step for many intermediate to advanced anglers who are looking for a little more accuracy and casting ability in their reel. The main difference between a baitcasting reel and a spinning reel is how the casting functionality works. Instead of opening and closing the bail on a spinning reel, you press the thumb bar down on a baitcaster reel to release the spool, and cast away. As with the spinning reel, you should pay close attention to the drag. Once you cast, you use the handle to reel in the line. There is some skill involved to properly cast a baitcasting reel. When you go to cast you need to press the thumb bar down at the apex of your casting motion to release the line and gear. If you get the timing wrong and you accidentally press the thumb bar down too early or too late, your cast will not go where you want it to. The spool tensioner is another key difference between a spinning and baitcasting reel. The spool tensioner is used to adjust the resistance that the spool provides to the line. The less tension you have, the further your cast will go. Unfortunately, with a baitcasting reel, at some point you are most likely going to get what is called a birdsnests with your fishing line. A birdsnest is tangled line within your reel which will cause it jam and to become non functional. From an aesthetics perspective, baitcasting reels are general more compact and sleek looking in comparison to a spinning reel. Because of the way you hold and control the line on a spinning reel, your fingers may start to get a bit sore, especially if using heavier lines and lures. However, as the line on a baitcasting reel is manipulated using the spool release button instead, this helps avoid any wear on your fingers after a long day fishing. Baitcasting reels should not be used with light tackle. It is designed to cast further and more accurately with larger lures. Most pro anglers will use this type of reel for bass, pike, trout and larger species of fish. Untangling the birdsnest can take time away from fishing and landing those fish. Selecting the Best Baitcasting Reel is very important if you are into Fishing, A Popular Outdoor Activity that anyone can take part in. It does not only have Potential Rewards, but help to bring people together to have a pleasant day at Lakeside or Sea. However, having the Best Baitcasting Reel For The Money is the main problem for any fisherman or angler to get the most out of their fishing experience. Overall, Best Budget Baitcasting Reel is one of the important piece of equipment that should feature in your Fishing Gear Kit. Dawia Brand also produce the Best Baitcasting Reel Under 50 out there. Best Baitcasting Reel are designed especially to be mounted on the Fishing Rod & used for Stowing and Winding up the fishing line. Baitcasting Reel’s are improved with new features after years of improvement. These are now used to retrieving the same in a more organized and neater way and cast a line at a longer distance. Buying the Best Baitcasting Reel For Surf Fishing make the impact between Having a Great Fishing Experience and Regretting The Journey on the first day itself. Knowing how to use a baitcasting reel exactly is very important if you want to buy a Best Baitcasting Reel 2014. Another important factor when selecting a reel is to consider whether you intend to use artificial lures or live bait, as this may change the type of baitcasting reel you need. Feel free to read our Baitcasting Reel Reviews below. When deciding to buy a baitcasting reel, whether it is your very first one, replacing an old one, or just adding to your collection, you need to spend your time wisely by researching what's available and what best suits your fishing needs. There are many fantastic baitcasting reels available under $200 that will most likely suit your fishing needs. It is very important for you to read our Top 3 Baitcasting Reel Reviews that will offer you best chance to select the best model out there. You can use this guide as a learning curve and move forward. 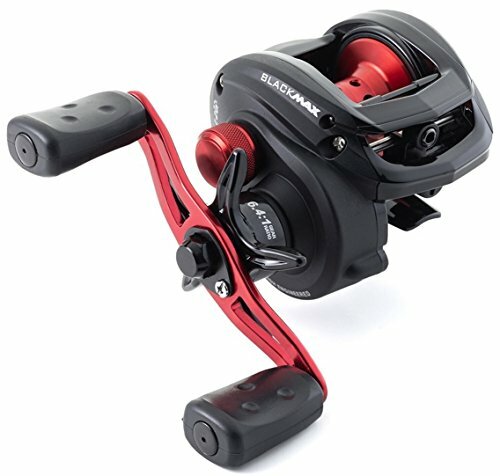 Some of the popular models are Best Shimano Baitcasting Reel and Abu Garcia Reels. Anyways, Go ahead and Check-out our Top 3 Picks. 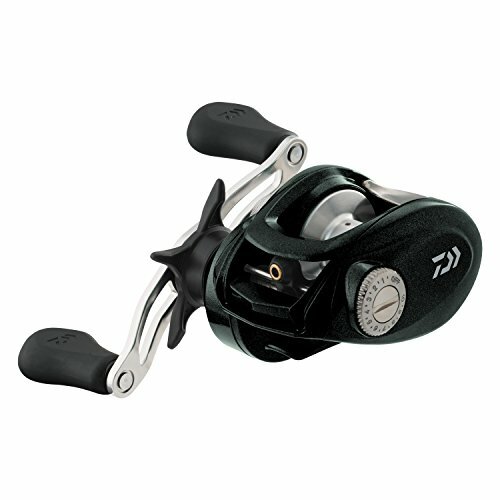 Abu Garcia, is one of the Popular Best Baitcasting Reel For Saltwater Manufacturer. This Baitcast Reel is the modified version of its previous models. It has all the Signature Features, Styles and Design normally you see in Abu Garcia line of products. It’s couple of key features are Anti-Reverse Bearing and Five Bearing System. It’s compatible for both Left and Right Hand Orientation. The price tag on this reel is very affordable, considering the range of features it offers for serious Fisherman or Angler. It is also the clear winner of Best Baitcasting Reel For Light Lures as well. For more information on this unit, you can click the button below. 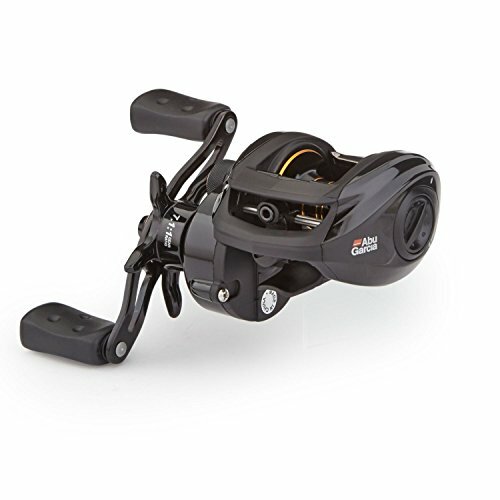 Abu Garcia Pro Max is one of the Finest Baitcasting Reel that is Heavy-Duty and Good For Serious Angler. 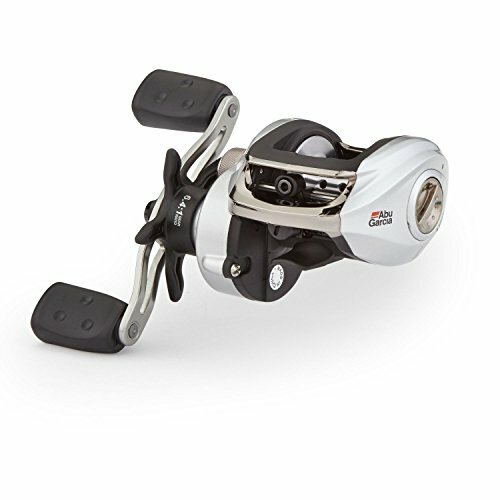 It’s a popular baitcast reel from Abu Garcia Pro Max family. This model has seven smooth bearings for better line feed & instant anti-reverse bearing to cope up with corrosive actions of the fishing environment. The anti-corrosive body construction to maintain constant, smooth retrieval and casting since it help to cut the friction. The Compact and Solid Design allow for smooth manoeuvrability and this model is designed especially to deliver best performance. It is one of the most affordable and Best Baitcasting Reel Under 100 out there in the market. Do not miss the lifetime opportunity to score on this excellent model. Overall, We Hope You find this detailed explanation on Baitcasting Reel very useful for easy decision-making. We have provided the brief description of best models available in the market today. Our part is successfully done to offer you useful information to make informed decision. We know it is hard to make a decision and if you have any Question, feel free to contact us now through the Contact Us Page. We have included all the baitcast reel models left out in the Top 3 Countdown on the comparison chart at the start of this article. Anyways, thanks for stopping by and have a happy fishing all the way.